The right name for construction storage in Los Angeles is Haulaway Storage Containers. For over fifty years this company has been the trusted name for storage on construction sites for every contractor in the city. You don’t have to look far for the construction storage you need, all you have to do is search “construction storage container near me” in your online search and you’ll find Haulaway Storage Containers near the top of your list, making it easy for you to have the storage you need to keep all your construction items safe and easy to access. This one simple search for “construction storage container near me” will result in you enjoying the benefit of containers made of 14 gauge steel that come in a variety of sizes. This makes it easy to find the right place on the construction site for the storage container. 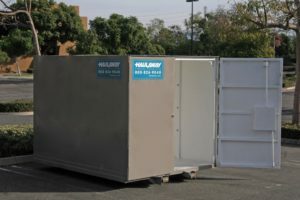 Haulaway Storage Containers offer you the best construction storage in Los Angeles with containers that come in a variety of sizes and allow you to enjoy the security and protection you need. This means you’re only paying for the size container that’s right for you and your construction site. Not only will you have the best storage containers in the business when you search for “construction storage container near me,” but you’ll be able to have it the next day. Haulaway Storage Containers promises the benefit of great service with next day delivery of the containers you need on your site. With the service and variety that Haulaway offers you can see why they are the best company to partner with when you need construction storage in Los Angeles. Partner with Haulaway and have the storage you need for your next big construction project.